In 2008 the slaughterhouse of Dunkirk was closed down, making the ritual sacrifice of Eid difficult for the Muslim community. This year, for lack of a satisfactory solution, the Muslim council of Dunkirk called on Muslims not to celebrate the religious rite on Saturday. "But this won't last forever," according to the leaders. Nobody dares say that until last year, there was tolerance towards Muslims who practiced ritual sacrifice clandestinely, but examples are not lacking. The local council installed bins in the parking lots of the old slaughterhouse for the disposal of carcasses and skins. Subprefect Bernard Dujardin hosted a meeting on the subject in early October with representatives from the local council and the Muslim council. He says that ritual slaughter can only take place in approved slaughterhouses for health and environmental reasons, that has been the rule for a while. 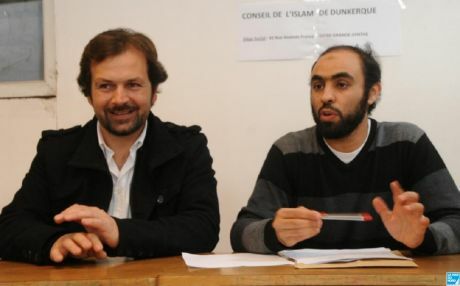 Sahin Altinisik and Karim Sahraoui, vice-president and president of the Muslim council say that the message was clear. The local council will not take care of disposal and clandestine slaughter is strictly prohibited. Violators face a fine of 1500 euro, and 3000 euro for each subsequent offense. Dujardin warns they are considering inspections as in previous years. The council relayed the instructions via the imams of the seven mosques in Dunkirk: it's better for once to give up the ritual sacrifice. For the Muslims of the region - about 4000 attend mosques - Eid has become problematic since the slaughterhouse was closed down in 2008. They must now go to Bailleul or use the services of the Douai slaughterhouse, as suggested by the sub-prefecture this year. Bernard Dujardin says that they offered to pick up the animals in Dunkirk and return the meat back the next day in refrigerated trucks for 60 euro, but nobody agreed. According to the Muslim council, this option was too restraining and burdensome. Sahin Altinisik is determined to find a solution for next year. This weekend he'll be in Dreux which set up a mobile slaughterhouse for Eid able to deal with 1800 animals in 3 days. He'll film the way the Muslims organized, interview the municipal authorities and, he hoped, will be able to impose this solution in Dunkirk with the support of the local authority. "That Islam has been recognized on the national level is good, but our specific needs should also be met. The older generation said nothing because they were 'in somebody's home', but the young generation are at home in France!"